Earning your stripes. 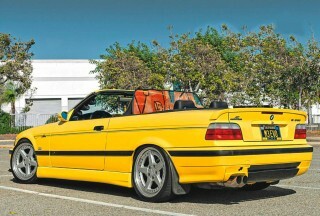 Supercharged E36 M3 Cab AC Schnitzer-clad retro cab The iconic AC Schnitzer pinstripes are a clear sign of a BMW that’s a cut above. But there’s far more to this M3’s story than those decals alone… Words: Daniel Bevis. Photos: Viktor Benyi. 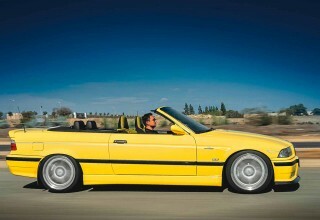 “I am a huge fan of AC Schnitzer products for the E36,” says Californian BMW enthusiast Jonathan Huang, and the Dakar yellow drop-top that’s flexing for Viktor’s lens leaves us in no doubt of that. 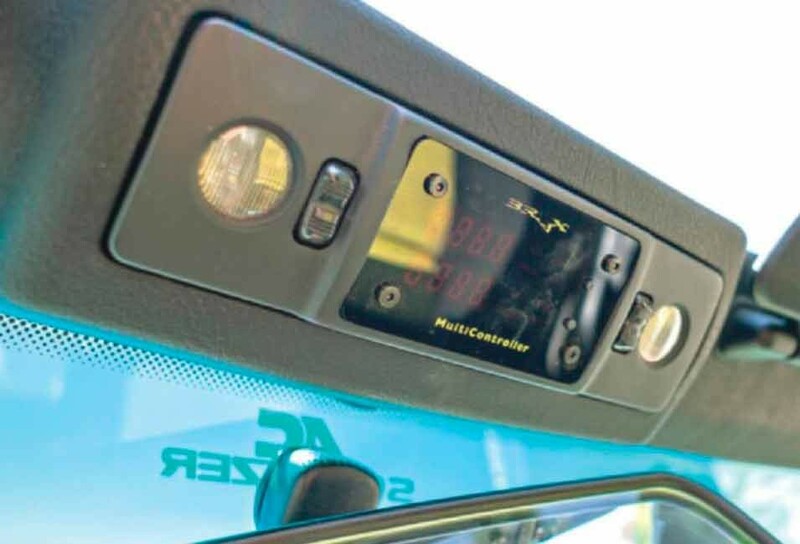 It’s not uncommon for us to happen upon cars wearing rare or obscure period accessories in this line of work; indeed, given the one-upmanship of forums and social media, it’s become something of a badge of honour in the scene to have the rarest and most surprising model-correct accessories. But it’s seldom the case that we find someone so devoted to the pursuit of completism, collecting up every available accoutrement for the car in question. 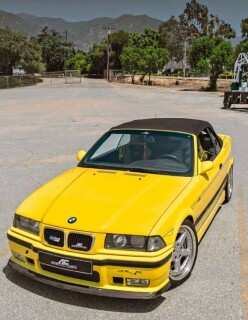 Jonathan’s M3 is lucky enough to enjoy all of the fruits of AC Schnitzer’s 1990s labours – although as we’re soon to discover, this isn’t simply a case of period-modding to turn the car into some manner of museum curio. 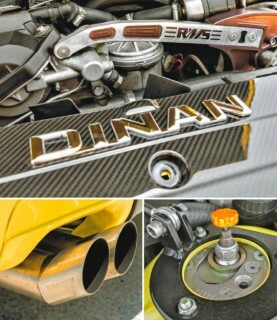 No, the presence of a Dinan supercharger ensures that this build exists within a whole other realm. What you’re witnessing here, then, is a dream coming true. But it’s not the type of dream that’s simply been spirited into being. No, a lot of hard work has gone into achieving the flawlessly finished product you see today… and quite a lot of water passed under the bridge before Jonathan was even able to get started. Fun in this instance can be equated with a tremendous amount of hard work and an unerring eye for detail, as Jonathan scoured any and every available source to get the M3 back to as-new standards as well as modifying as he went. 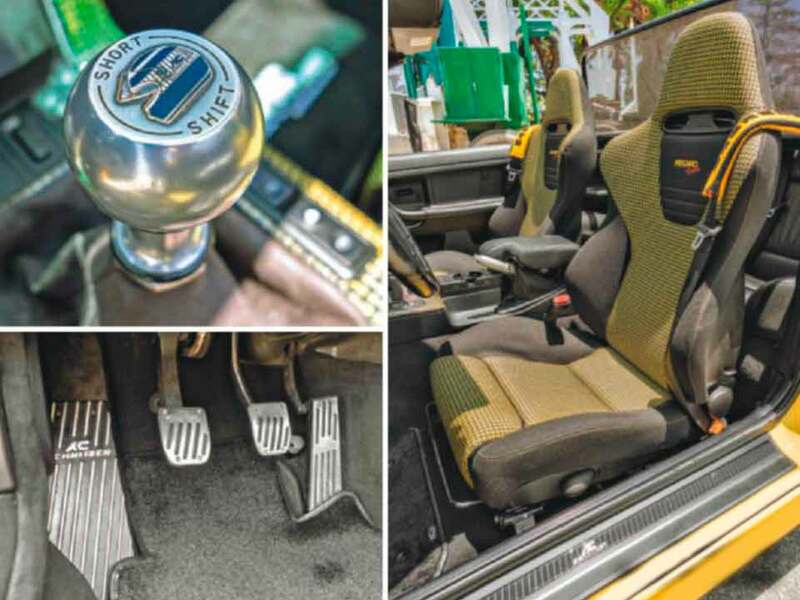 While the car was a solid example of the breed, a couple of decades in the Arizona sun were bound to bake a few things, and he was eager to refresh and renew wherever possible to get everything tip-top. So, the car’s received new catalytic converters and O2 sensors, and the fuel system’s had a thorough refresh, as has the cooling system. The soft-top has a new window along with a new motor, tension straps and top lid shocks – and Jonathan added a factory hardtop into the mix too, for the sake of options. Various rubber trims and seals were renewed, along with some big stuff – the front bumper, nose panel, and a master key – while the coil packs, thermostat, door handles, and glove box were replaced. Jonathan’s a true perfectionist, and you get the feeling that even the slightest blot on the car’s copybook will have him chasing it down like the Terminator. and you should see the stockpile of AC Schnitzer spares that’s taking up residence in his garage; the collection includes a spare DTM exhaust system, steering wheel, shortshift, sills, mirrors, alternative pinstripe kits, spoilers, wood trim, engine covers, and a cornucopia of different badges – essentially, if you’re wondering why there’s a scarcity of 1990s AC Schnitzer parts on the market, it’s because they’re all in this dude’s house. He’s also been stacking up genuine OEM BMW spares too, just in case the well runs dry; lights, windscreen, mirrors, side skirts, he’s pretty much got enough bits to knock up a spare M3 in there. The guy’s unstoppable. And don’t even get him started on the audio: the M3 currently runs a Denon head unit and CD changer with myriad Brax Matrix speakers, but Jonathan also has countless other Denon, BMW, Kenwood and Alpine units in reserve. The car itself basically acts as a rolling greatest hits of all the many, many parts he has available to sub in according to any given whim. The dedication to completeness is really quite incredible. 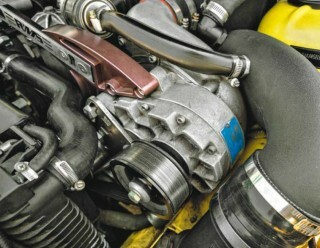 All of this serves to slightly overshadow the performance of the car, so let’s not overlook the fact that the Dinan supercharger upgrade is augmented by a full suite of Race Marque Systems treats (intercooler, pipework, pulleys, brackets and tensioners) as well as a quality tune that sees it produce a solid 362whp – not the highest figure it’s shown, Jonathan assures us, but the most consistent. And that ‘bummer’ transmission that caused him a moment’s pause before buying has been unceremoniously ousted, replaced by a Getrag 420G six-speed manual ’box with E46 shifter and clutch assembly and a custom diff setup. Huge efforts have gone into making the car look the part, but you can be damn sure it walks the walk too. 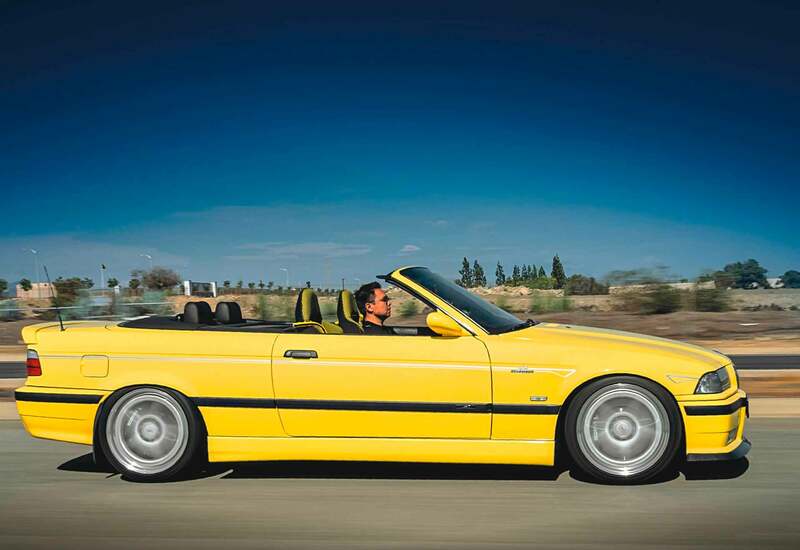 “Last year I was fortunate enough to be invited by my friends to have my M3 parked in the BMW Car Club of America’s booth at Bimmerfest 2018,” he says. “Out of curiosity I entered the competition, not really expecting anything, and was super-thrilled when I ended up taking the biggest trophy home that day! I couldn’t even describe how happy I was. This is definitely something I’ll always remember for the rest of my life, as it’s not only a realisation of my 20-year-long dream, but also a recognition of my passion for the car. I’m content with its current state and, given the amount of time and money invested, I intend to keep this car indefinitely! My wife’s always got something to say about the M3 too, since it was acquired when she was in hospital waiting to give birth to our first child… but my kids love the car and she has since made peace with it! I’m very thankful and lucky to have someone like her in my life.” That’s the crux of this project, really – it’s all about balance. Jonathan found a way to work the realisation of a dream into the complexities of reality, and that’s something worth celebrating in itself. He’s got the car (and the feature) he always dreamed of. And we love a happy ending. ACS Type II Racing 18s. 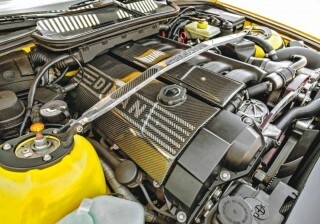 Countless ACS accessories and custom Kevlar trim.